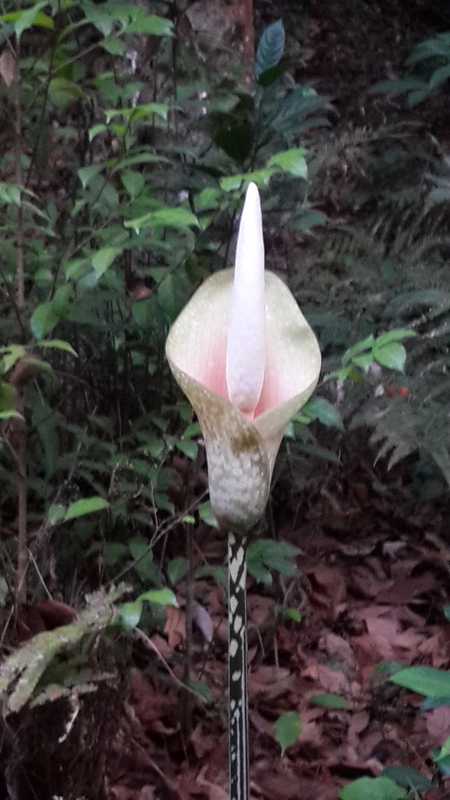 Standing 1 meter tall, this flower exudes a smell of rotting flesh when mature, thereby attracting insects that help pollinate it. Published May 30, 2018 at 2320 × 4128 in On Leeches, Jungle, Bliss and Beauty: things we have lost. Trackbacks are closed, but you can post a comment.